Their very own sensitiveness lets warmth flow to each other. Versatile, kind, gentle, familiar, romantically minded, emotional, close to nature, charming, creative and maternal. Discontinuous, capricious, sentimental, sensitive, offended, introverted, melancholic and unsteady. Persons with ascendant Cancer are characteristically sensitive. They perceive and experience their environment with profound emotional depth. In addition to that, they sense connected to nature and the environment. Towards interaction with others, Cancerians are skilled to empathize with other creatures. All that happens to affect them personally – moved by that kind of personal experience and imagination, so they will start a creative process which takes them a crucial step forward. 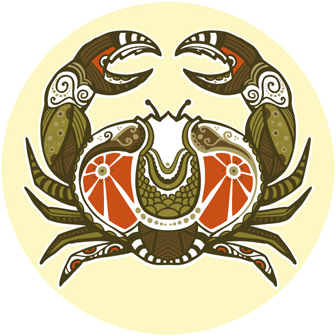 By the lack of differing from other fates and confrontations, ascendant Cancerians are stressed about environmental influences and attacks. In a case of these happenings, they react with retreat and hurting. After such experiences, they tend to doubts, self-doubt and they begin to brood. If they feel massively under pressure, crucial situations often quickly get out of hand followed by enormous emotional strain and reaction towards stimulation. Therefore Ascendant Cancer seems to be capricious – or perhaps better said, they react unpredictable or moody. Any insecure circumstances could make them feel haunted by distress or fear about the future. They tend to look backward to the past. Guided by reflecting sentimental, nostalgic sentiments. The more experience they will have come to know, the better they will learn to handle adversities of life. They defy once again and stress their new emotional independence towards adversities of life. These virtues would be shown by Descendent Capricorn.